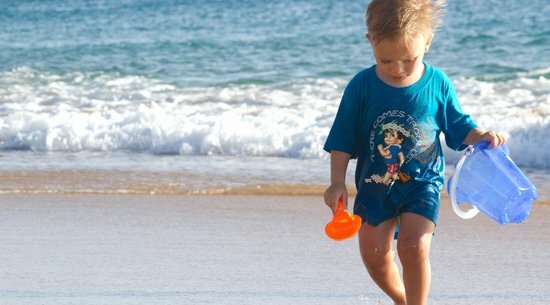 It was imperative that I passed my love of the beach on to my two young sons. So when I showed them pictures of our next vacation to Maui, they went nuts. Maui has 120 miles of coastline and 30 miles of beaches so doing research beforehand is a must. After all, not every beach is suited for a 6-year-old who just learned how to swim and a fearless 3-year-old who’s never taken a swim lesson in his life. Aptly named, this beach features a calm, protected lagoon on the west end of Baldwin Beach. Baby Beach is a great place to swim in the waveless ocean, play in the soft sand, and explore the beach-backed sand dunes and wooded area. This beach is better suited to a morning visit, as afternoon winds can make it quite unpleasant. 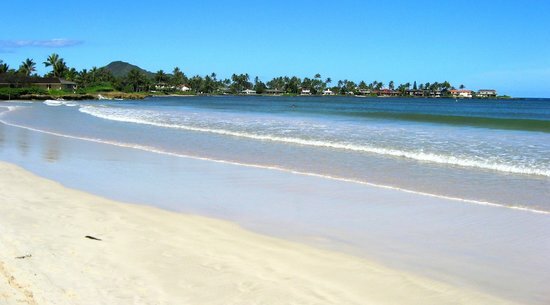 Be sure to check the weather in Pa'ia before heading to this beach. 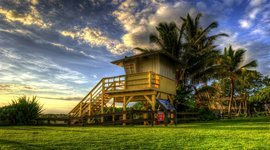 The beach is located off the Hana Highway just before you arrive in the quaint town of Pa'ia on the North Shore. As with most things on Maui, there is very little signage pointing visitors in the right direction so make sure your phone is charged when you make the trip. 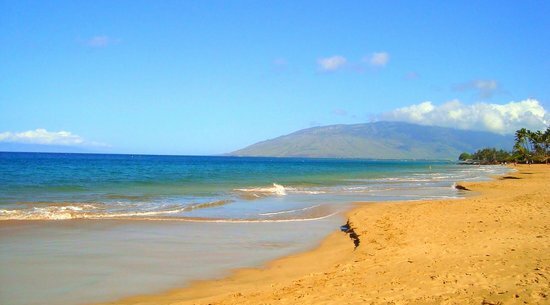 Believe it or not, there are two “Baby Beaches.” So when deciding where to go, be sure not to confuse this West Maui stretch with its North-Shore cousin. 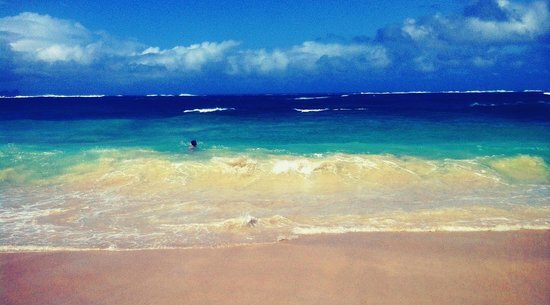 This beach is protected by an exposed reef that allows for a mellow swimming, perfect for small children. They won’t be knocked down by big waves, so parents can let their kids explore freely. With that said, the sand isn’t as pristine as other beaches, and older kids may get a bit bored from the lack of waves and shallow swimming. There’s parking near the beach, but it’s limited so it might be better go on a weekday or get there early. 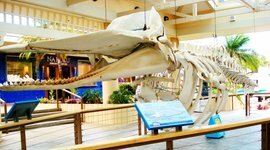 If your child needs a bit more stimulation or you forgot to pack lunch, the beach is located a short walk from downtown Lahaina where you can find dozens of restaurants. Located on the south coast of Maui, this popular, public beach is consistently named one of the best beaches in the world for its perfect sand, inviting ocean, and breathtaking views of Molokini and Lana’i. 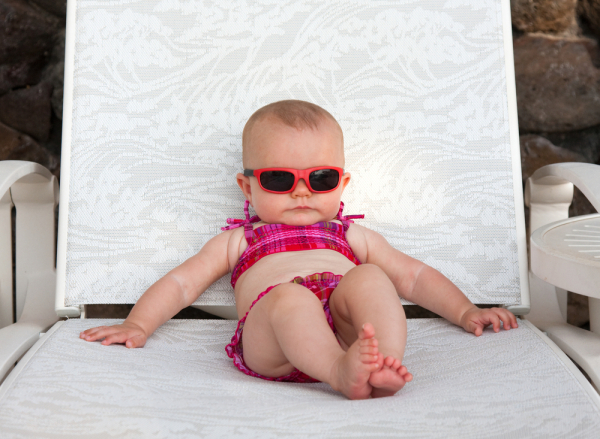 It also happens to be a perfect beach spot for kids of all ages. When the ocean is calm, snorkeling is very good by the rocky outcroppings at both ends of the beach. 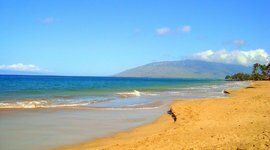 Small waves and a gentle slope make this place an extremely popular beach on Maui for boogie boarding, stand-up paddle boards, and body surfing. In the winter, it's common to see whales breach off the coast. Wailea Beach beach is easily accessible and has a nice paved walkway that runs the length of the beach. Bathrooms, showers and parking are all free and readily available. While this might not be the best place to let little Jonny run free, it’s a good introduction to waves where he wouldn’t get tossed around. For as crowded as Wailea Beach can get, Big Beach, known officially as Oneloa, is equally as empty. 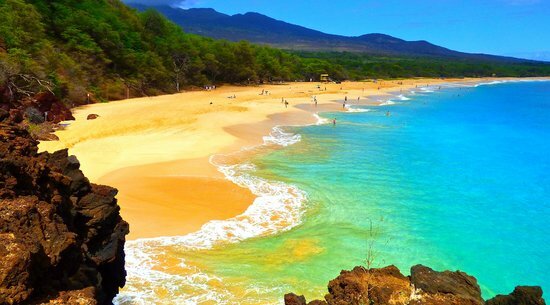 This is Maui's largest, widest, and longest undeveloped beach. It's almost a mile long and seems to have none of the tourist trappings associated with the more centrally located Maui beaches. It would also make for a fun family adventure with young kids without the hassle of trekking downhill on a muddy trail through the jungle. But please be careful on days where the surf is rough. The shorebreak is known to catch unsuspecting tourists off guard. Skimboarding, body boarding, and bodysurfing are all very popular here. However, this is not a great beach for snorkeling and surfing. Big Beach has port-a-potties, picnic tables, and shady areas under large trees. 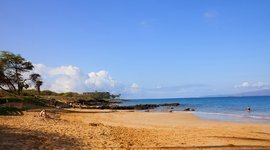 There are three parking lots that access Big Beach, which is also known as Makena Beach. 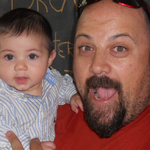 With that said, I read about a few caveats families should consider if visiting this amazing spot. 1. Proceed with caution if you bring small children or inexperienced swimmers here during large swells as waves are known to be deceptively powerful. This is not the place to bring little Jonny. 2. The trees that line the back part of the sandy have large thorns that can be found in the sand underneath them. The thorns are so long that they can go through a flip flop while walking. In a nutshell, don’t go barefoot. For families with kids 5 and older, this beach is a perfect place to learn how to hang ten on some tasty beginner waves. The surf here features long, gentle rolling sets are forgiving enough for beginner surfers. I’ve only tried surfing once and it was a bit of a disaster. It’s definitely something I’m considering doing with my older son one morning on our upcoming vacation. 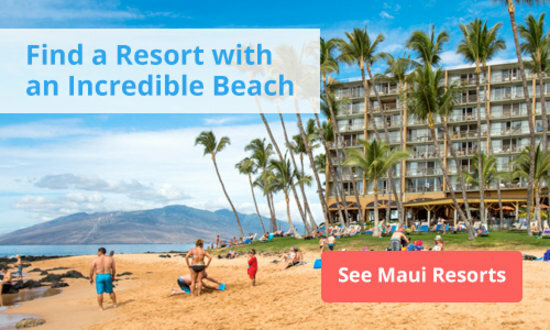 Maui Eco Tours is located right near that beach and looks to be a good option for us. From what I’ve read, there’s very little sand here so don’t expect to make this beach an all-day affair. There is, however, plenty of parking, skateboard ramps, a sports field, baseball diamond, volleyball sand courts, large grassy areas with picnic tables, shelters, and BBQ facilities. Just south of Kalama Park, Kama'ole Park is divided into three unique beach areas. 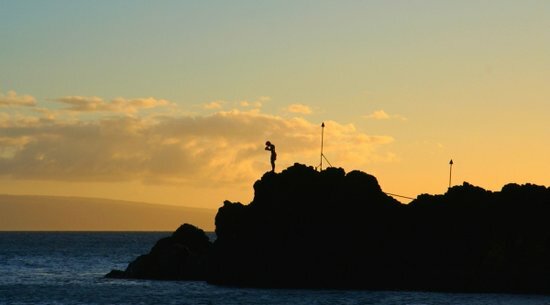 This is also a perfect snorkeling spot and overall one of the most family-friendly set of beaches on Maui. Kama'ole I (Kam 1) is the largest and supposedly the nicest beach of the three, featuring fine, white sand and great swimming for all ages. There's also a grassy area for picnics and playing. Kama'ole II (Kam 2) is located a little further south along South Kihei Road. It’s smaller than Kam 1 but still good for swimmers of all levels. Kama'ole III (Kam 3) is a local favorite for boogie boarding as the waves are consistently large enough to ride. The sandy beach is small but it has a large grassy area, perfect for kite flying, picnics, and relaxing. 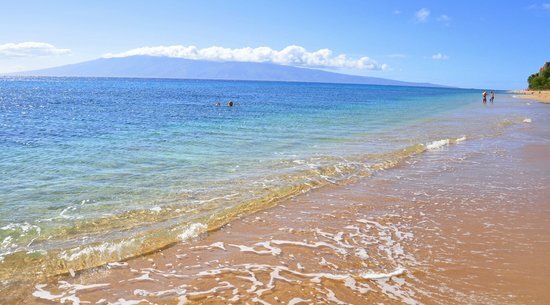 No Maui beach guide is complete without a mention of this Ka'anapali’s world-class sand. Stretching 1 mile between Black Rock (Pu'u Keka'a) and Canoe Beach (Hanakao'o) Ka’anapali is fronted by seven luxury resorts, Whalers Village Mall , and a plethora of shops and restaurants. The beach itself is as close to perfect as a beach can get. The sand is long and wide and the water entry perfect for all ages. My wife and I came here on our honeymoon 12 years ago and I can honestly say from personal experience that swimming here is like swimming in heaven. 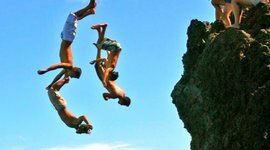 You and the family can take a long walk on a flat, concrete sidewalk that lines the back edge of the beach to watch the the cliff jumpers down by Black Rock. Parking is limited and expensive so be prepared to set aside some cash for this. The only really negative thing about this stretch of sand is that it’s lost a bit of the true Hawaii spirit and instead caters to tourists. But at the end of the day, this beach is still one of the best in Hawaii, and in my opinion, there’s little substitute for it’s beautiful family-friendly allure.